Crafting isn't all about making stuff. Of course thats the fun part! However, there is the business side of things. And a successful craft business is my goal! Since I did not major in business in school, and frankly my personal selling skills leave much to be desired, I do try to learn as much as I can. I do this by reading books. This week I had the opportunity to preview Finding Your Inner Etsy-preneur. 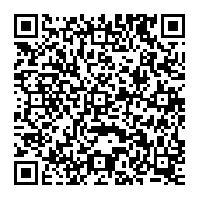 Its interesting. Through a series of personality test, it helps you to determine how you can best approach mastering your sales for your Etsy shop. 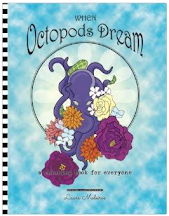 I know right now there are a lot of discussions going on out there regarding Etsy and the nature of handmade, thats not the issue here or discussed in this book. 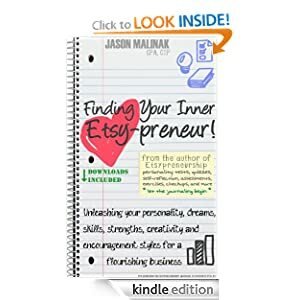 This book is all about how to leverage your personality type and tendencies to maximize your Etsy experience. I had fun with the personality type testing, and I think it was pretty spot on for me. I do plan on actively applying some techniques from this. The other book I finally finished this week was (ok forced to finish it as I had to return it to the library) completely unmemorable. Seriously, it was one of those cool looking books, with lots of nice crafty-art pictures. At first glance it had lots of useful forms, but unfortunately it was pretty much a repeat of many other books out there. How to pick an art fair (man the books make this sound so easy--its not), how to set up teaching, how to make yourself presentable with business cards and logos. The book was from a few years ago, so I know its not on the shelves any longer, and I couldn't even find it on Amazon to provide you with a link. The one thing that stood out the most in the book for me was the section on how to shoot quality images of your art. The examples, booth good and bad, were printed in such a way that what ever quality they were trying to show off didn't show up. For example, two photos discussing how the shadows in the back ground were distracting and how to fix that, when BOTH images printed with solid black backgrounds. All in all it was a pretty but useless book, so I guess its ok I forgot the title.